Yowzahs! 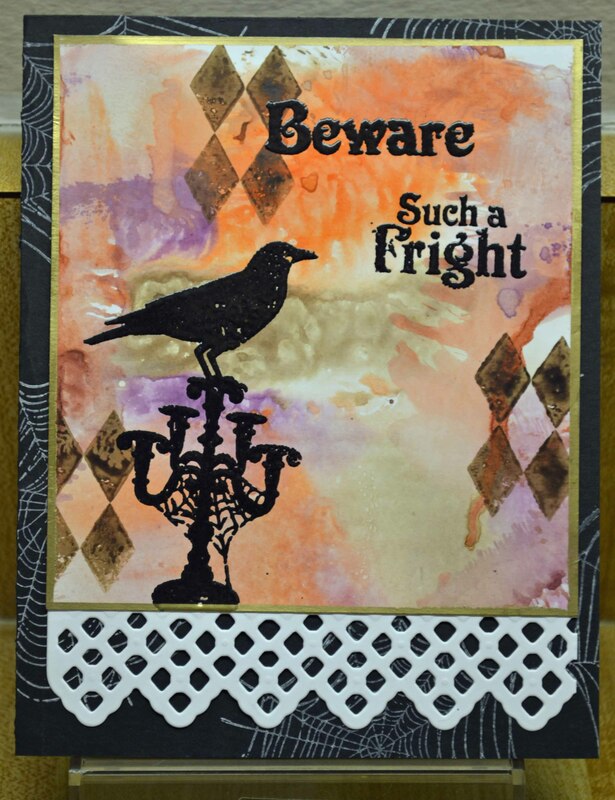 I made a quick Halloween card today! 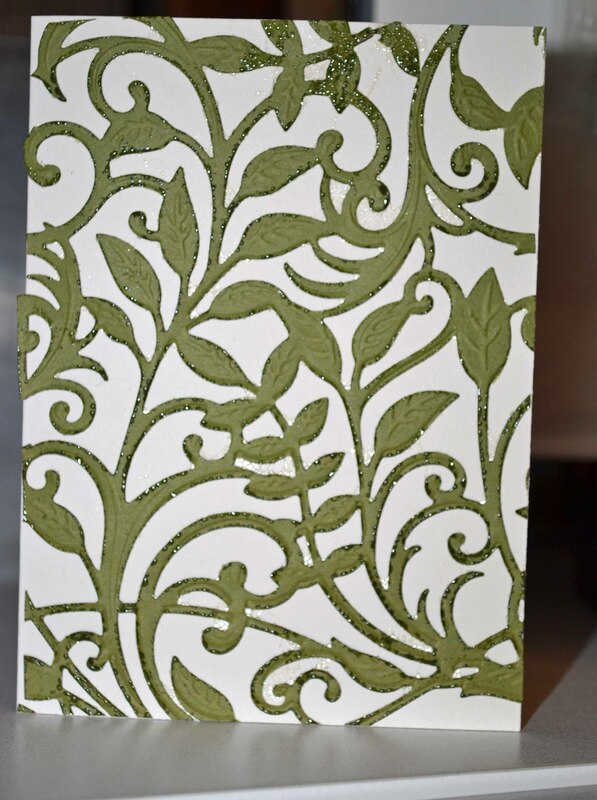 The image, from Close To My Heart, was white embossed on white glossy paper. Then I swooshed on Distress Inks peeled paint, marmalade and a touch of lavender. (My lavendar pad is nearly dry, so you can barely see the lavender tint.) I layered it on a piece of black. 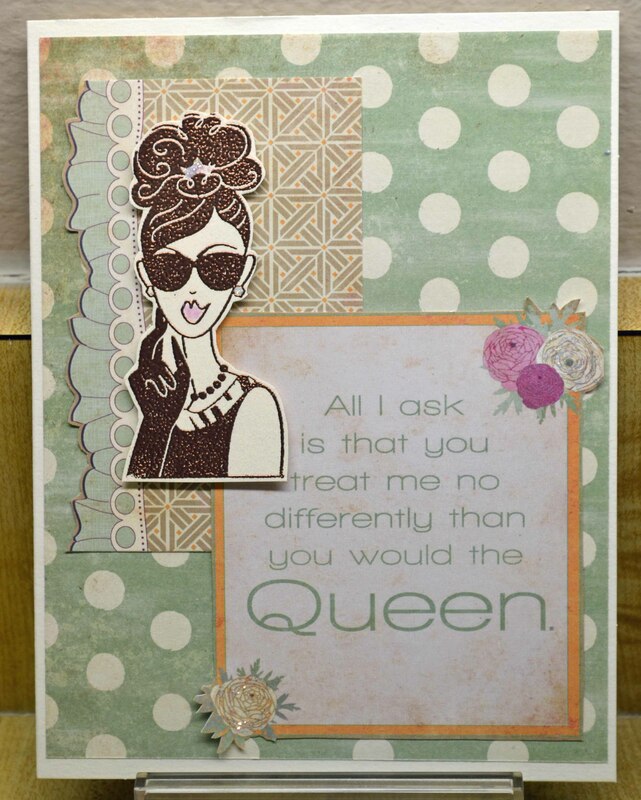 The sentiment is from the same stamp set. 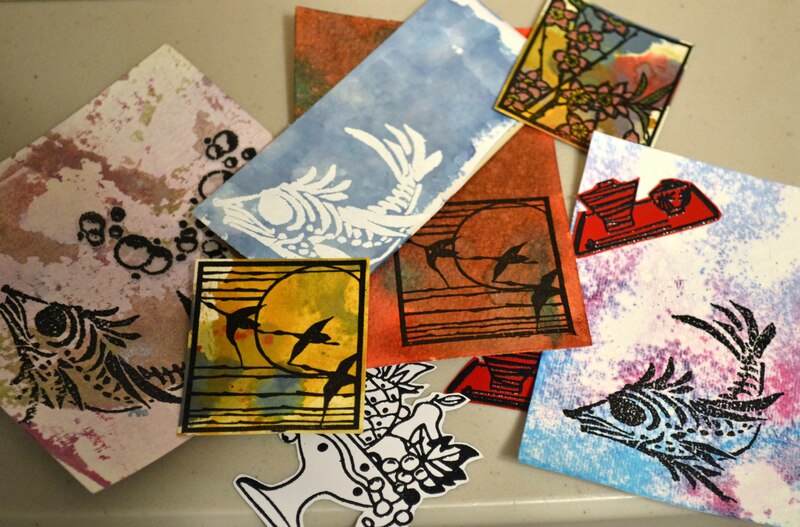 I stamped it on a left over scrap of the inked glossy paper using VersaMark. I knew as soon as I stamped it that the image had slipped. 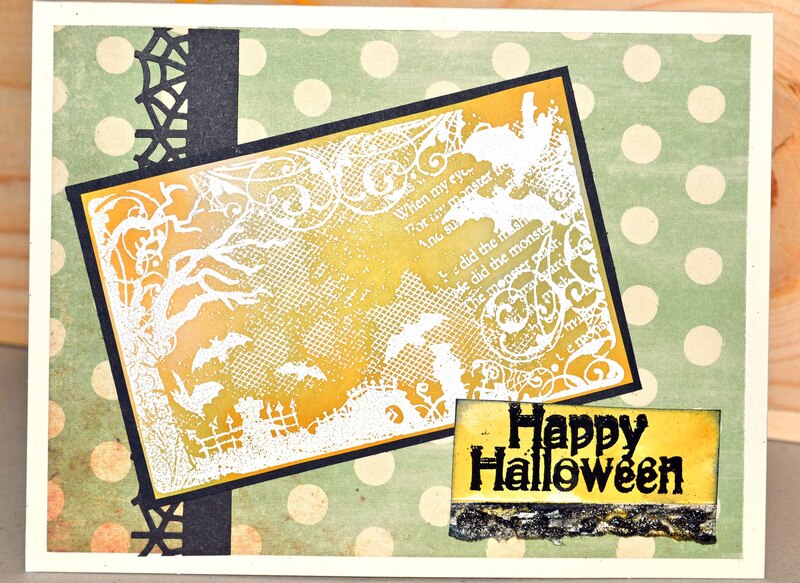 I decided to emboss it anyway… and I kind of liked the double image for the Halloween sentiment! I edged the sides with some black dye ink, then added Ranger Stickles Gunmetal to the bottom. 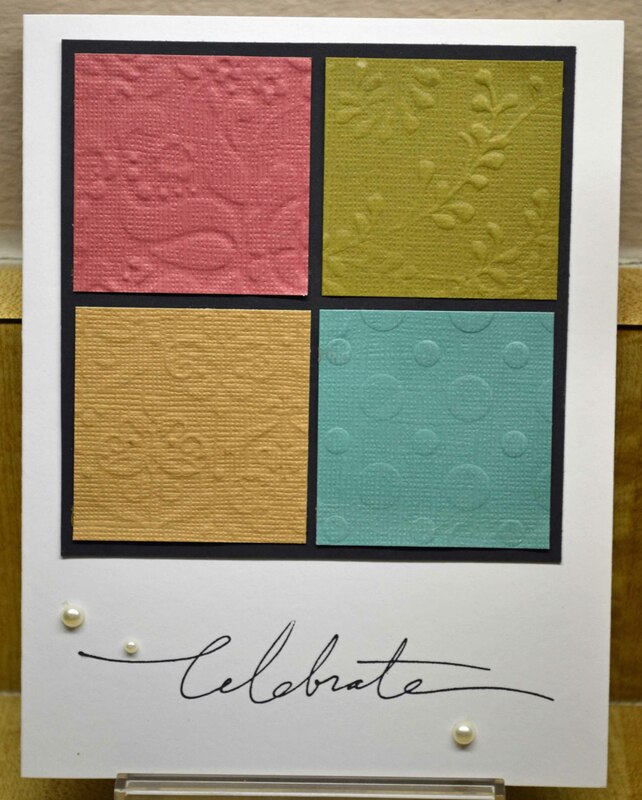 The polka dot paper is from Bazzill Basics Miss Teagen Sue collection; the spidery punch is from Martha Stewart. Hope your treats are tame and not tricky. 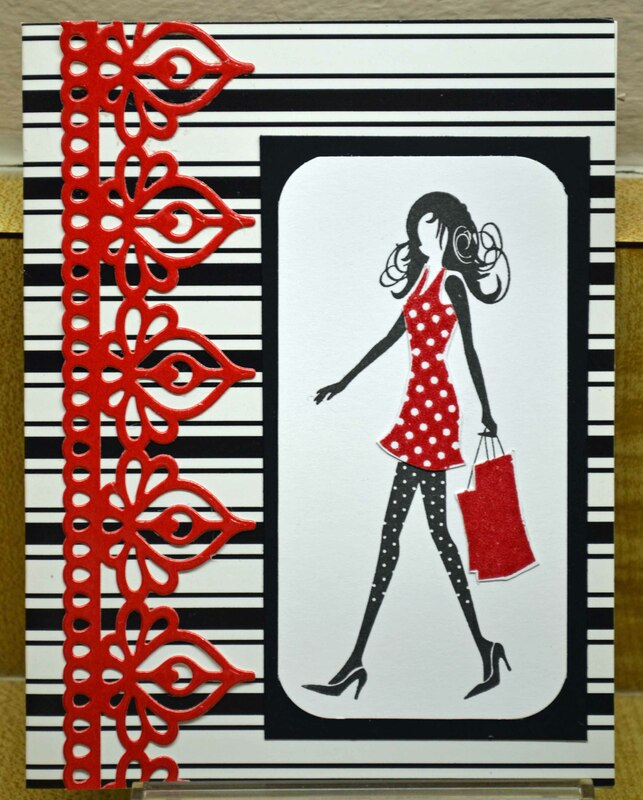 I don’t often enter challenges, but this Journaling Cards Challenge in the Moxie Fab World sparked something in me. 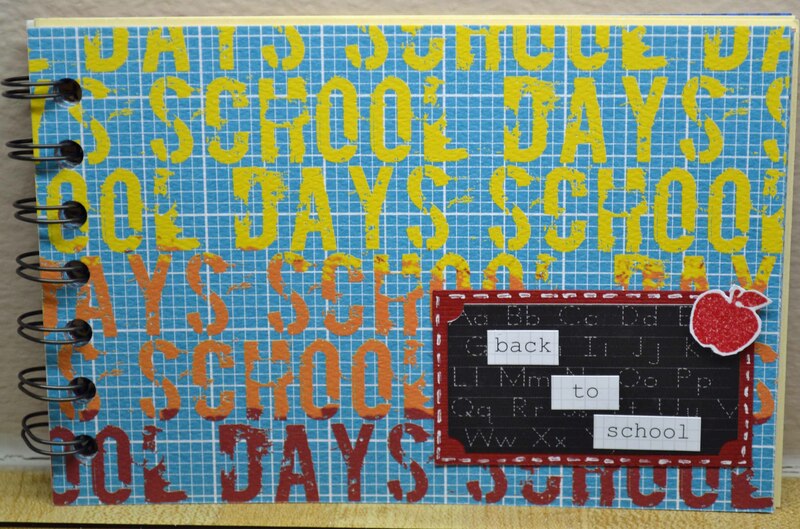 The challenge was to use scrapbook journaling cards to create something else. I have quite a few of these cards and since I rarely scrapbook, I didn’t really have much use for them. But then I was inspired by the Moxie! 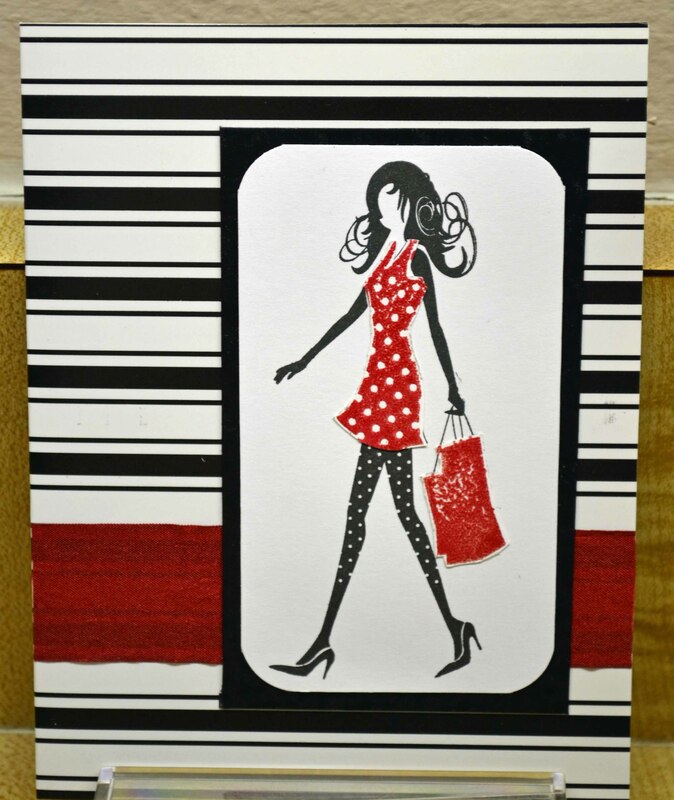 These large cards from Bazzill Basics made me immediately think of a mini book! 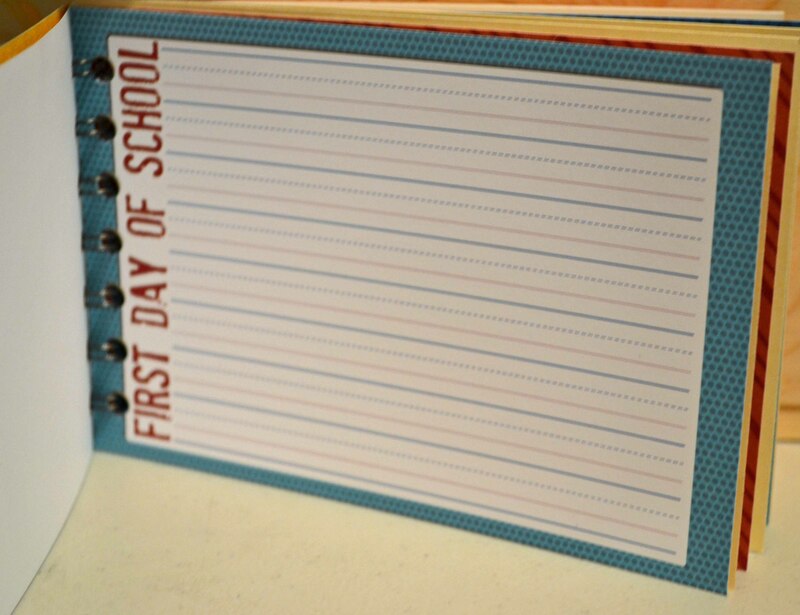 So I took the eight horizontal ones from the School Days set, added some plain cardstock cut to size, and used my Cinch machine (We R Memory Keepers) to bind them into a book! 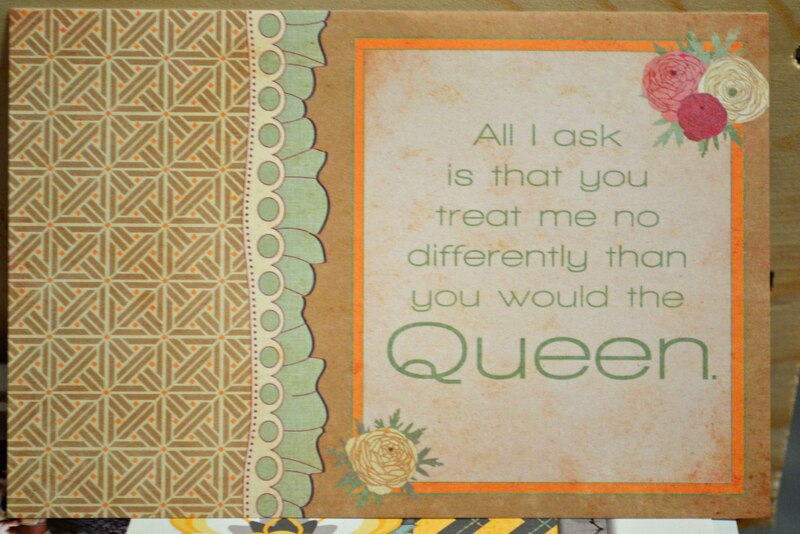 Then I cut apart this journaling card …. 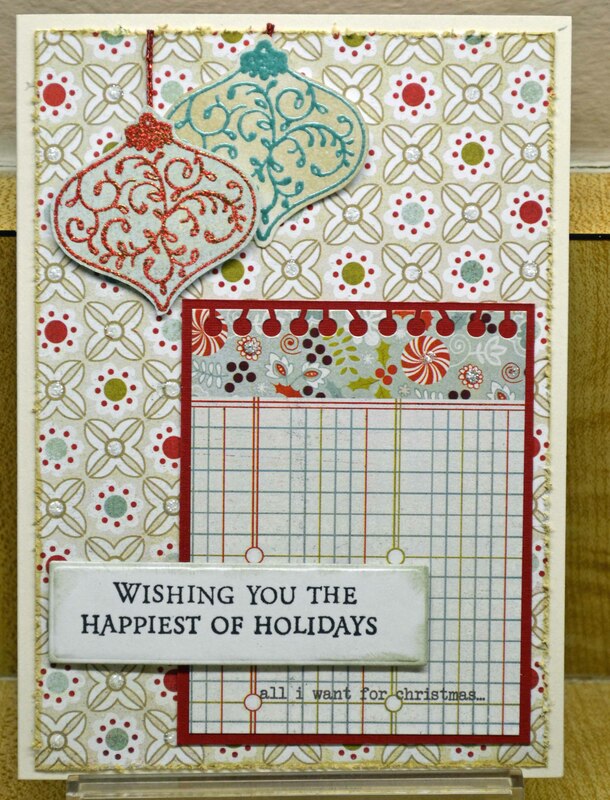 The papers are from Basic Grey, the ornaments from Heartfelt Creations and embossed in red and teal; sentiment from Hero Arts, die cut using a Lifestyle Crafts die and edged in Ranger Distress Ink Bundled Sage. The tiny pieces of sparkly red thread on the ornaments is from Kreinik. 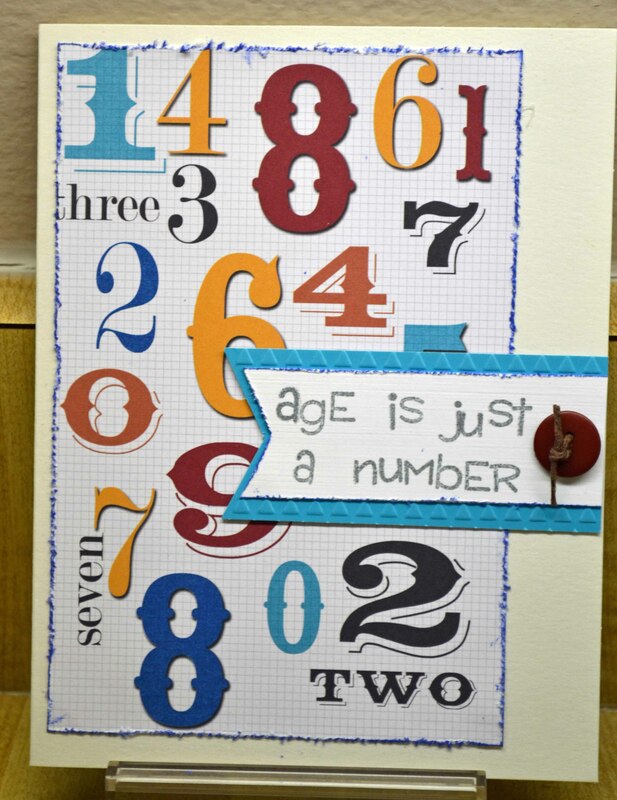 Journaling card from Bazzill Basics; “age” sentiment stamped using a small Hero Arts clear alphabet set; blue border is a scrap left over from Die Cuts With a View paper. Edges were distressed and colored with blue pigment ink. 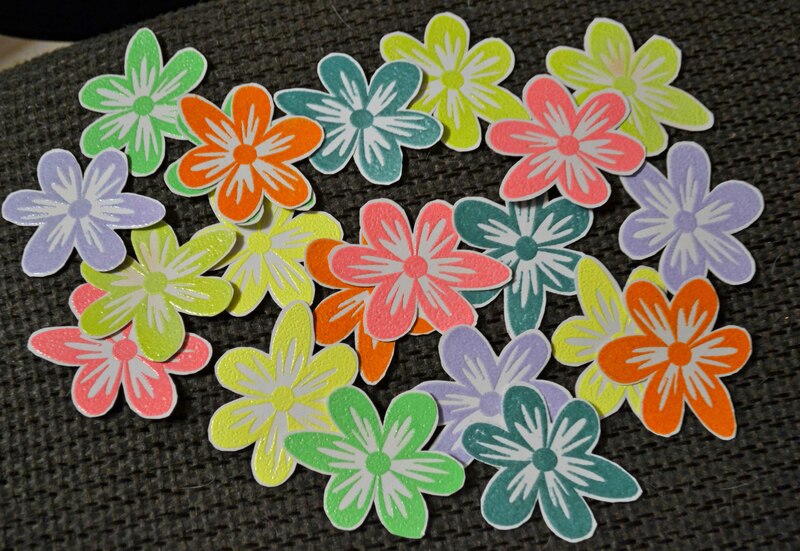 Fabulous Finds Friday — Dies, Neons and More! 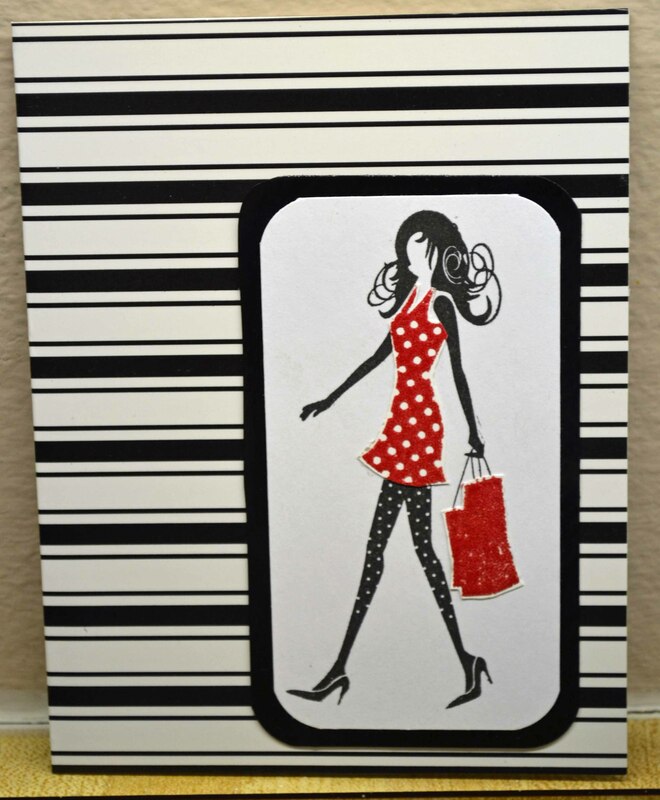 I have some Fabulous Finds for crafters! The tute gives some great tips, such as: 1) use wax paper to make it easier to pop out the delicate pieces; 2) try placing dies at the edges of your base plate on the Grand Calibur (instead of in the middle) for optimum pressure on these intricate dies. These were award winners at the Craft & Hobby Show in July. Isn’t that lovely? Be patient with me here… This is my first time using such a delicate die. 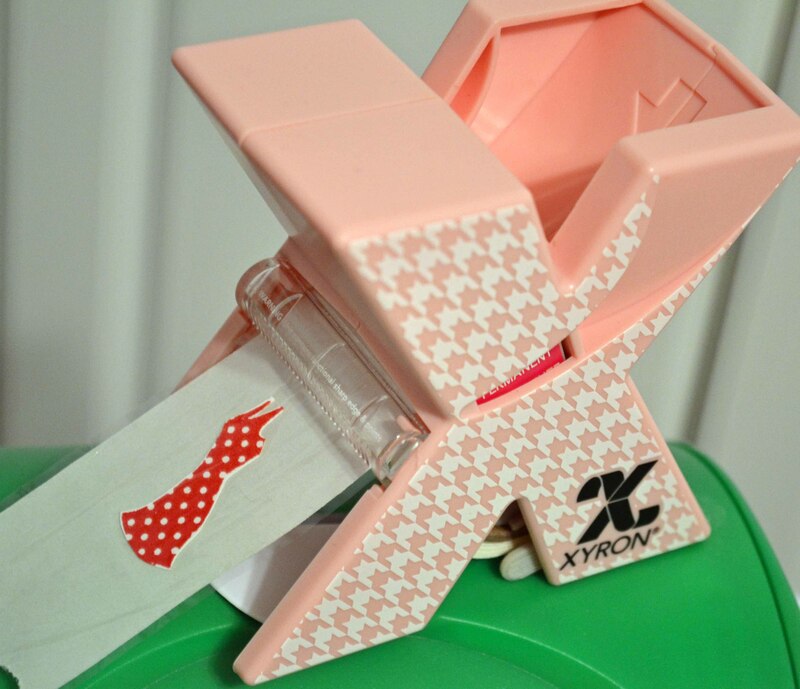 After cutting it out, I ran it through my Xyron Creative Station to get it nice and sticky. As you can see, I didn’t burnish it well enough and some of the adhesive leaked through. I decided to sprinkle on some clear embossing powder, thinking it would give the piece some interesting highlights (and take care of the excessive adhesive). Not sure I succeeded…. 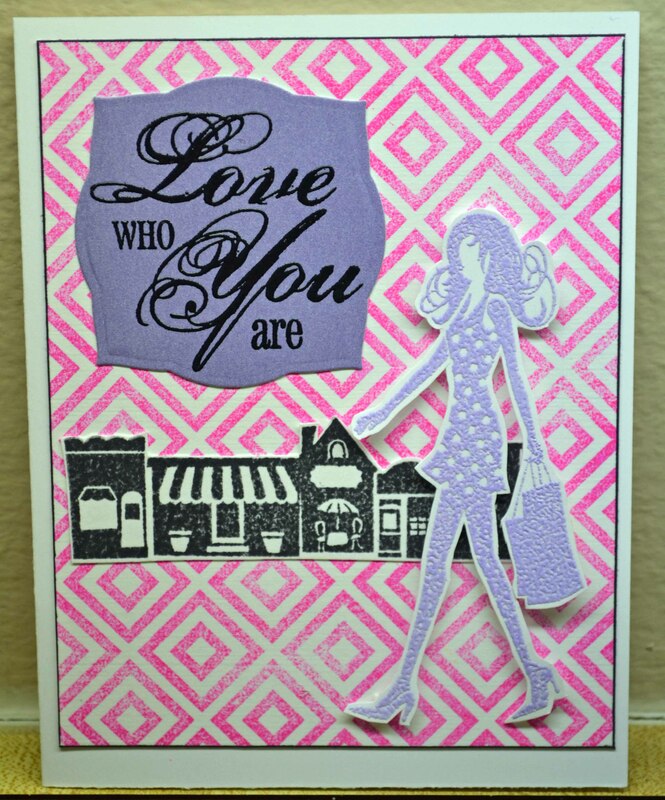 Ah, well, the card needs some finishing touches … like a focal point, sentiment, embellishments, etc. But I love the die! 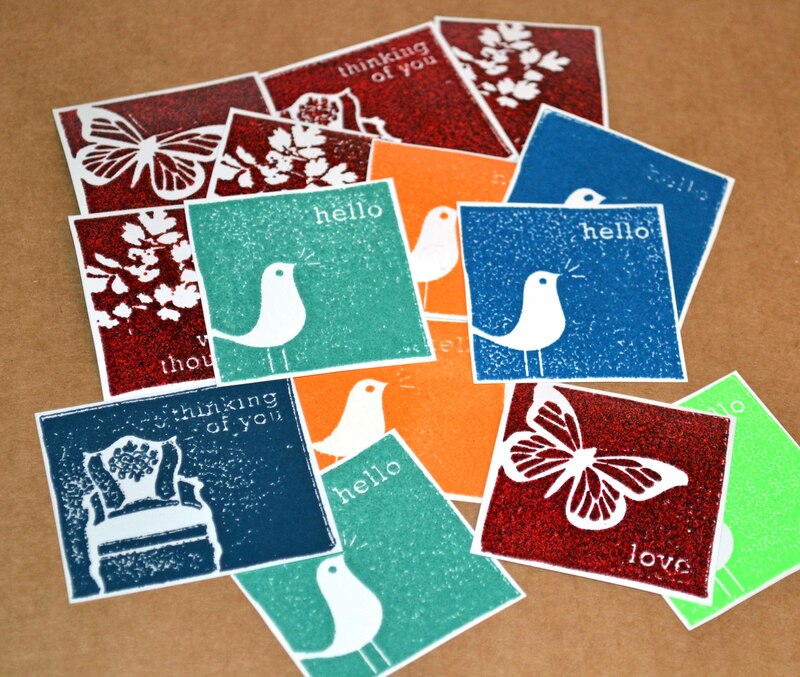 Being the Impatient Stamper, I couldn’t wait to stamp these! 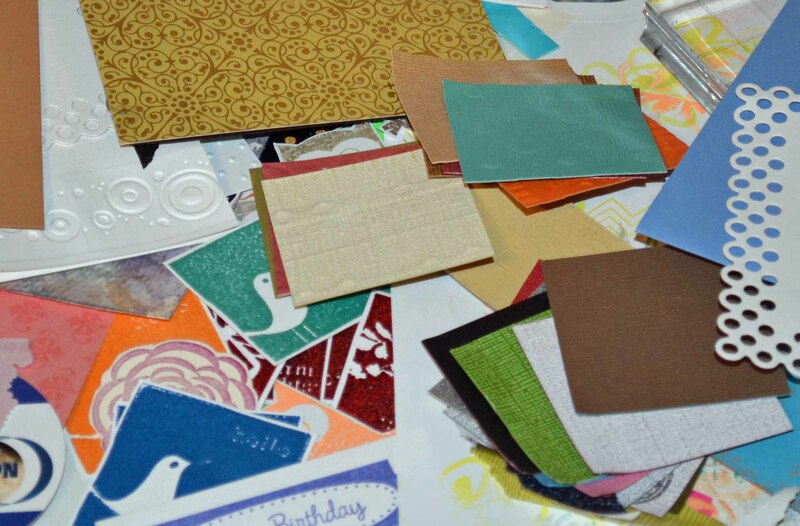 These wonderful background scraps were piled on my desk, just begging to be used. So I did some random stamping. Next week we’ll see what I do with them! 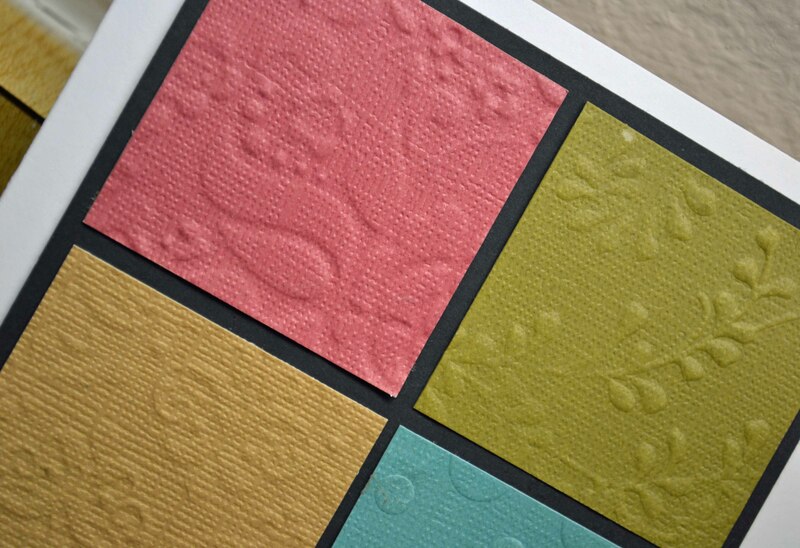 Thanks for coming by to see what’s fabulous! Oh, what a lazy blogger am I! Busy, busy work period… but I hope to have some Fabulous Finds by Friday. 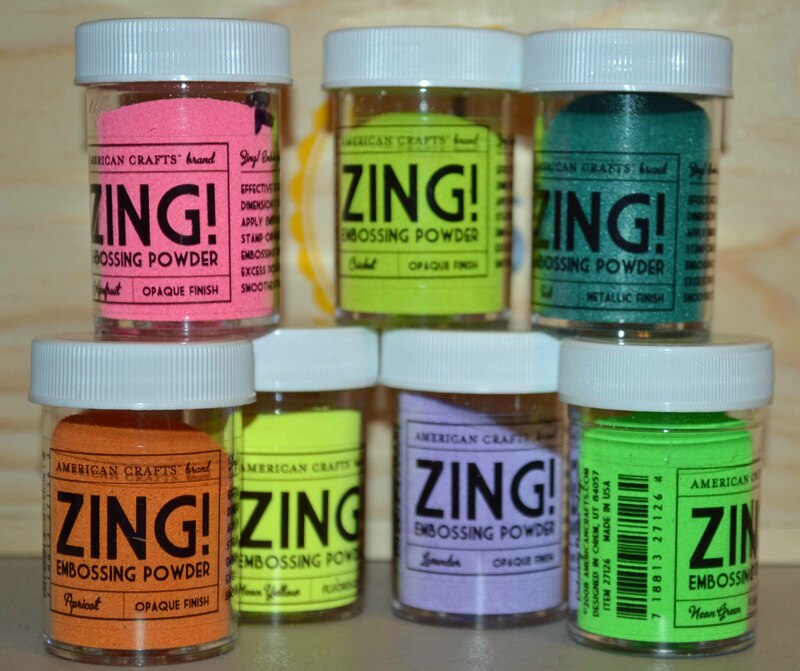 I’ve been playing with embossing powders, especially these fun Zing! neon colors from American Crafts. Hmmm…. now I just have to figure out what to do with them…. Cleaning off my desk I found a purple background I had made using alcohol inks. 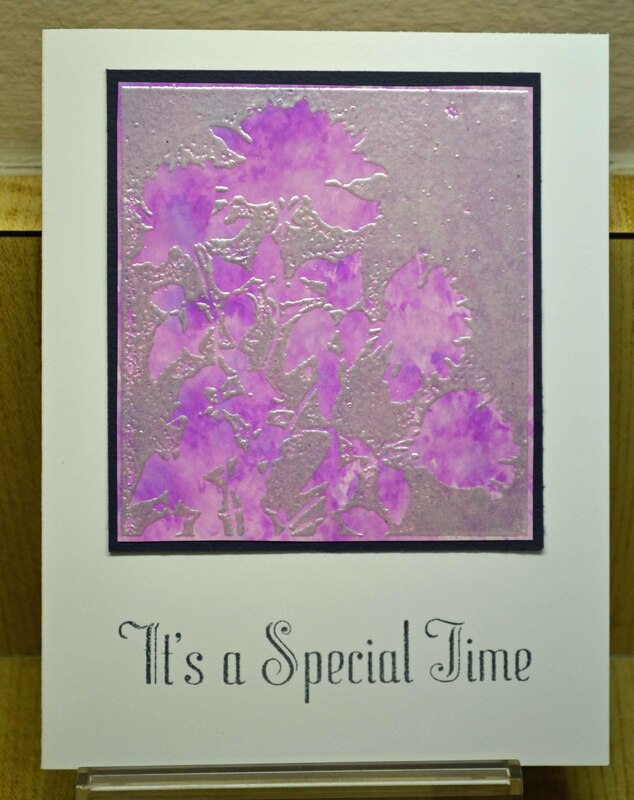 I stamped the silhouette flower image over it using silver pearl embossing powder. So fast and easy! Hope to make some cards this week! Leftover images and bits …. Wow, what a mess on my desk! After a week of playing with neon inks and embossing powder, there were lots of bits and pieces left on my desk. Some fell together. In my last post, I played with the Fashionista set from Close to My Heart. Fashionista was a fun set to use and I can’t wait for these gals to hit my card runway again!